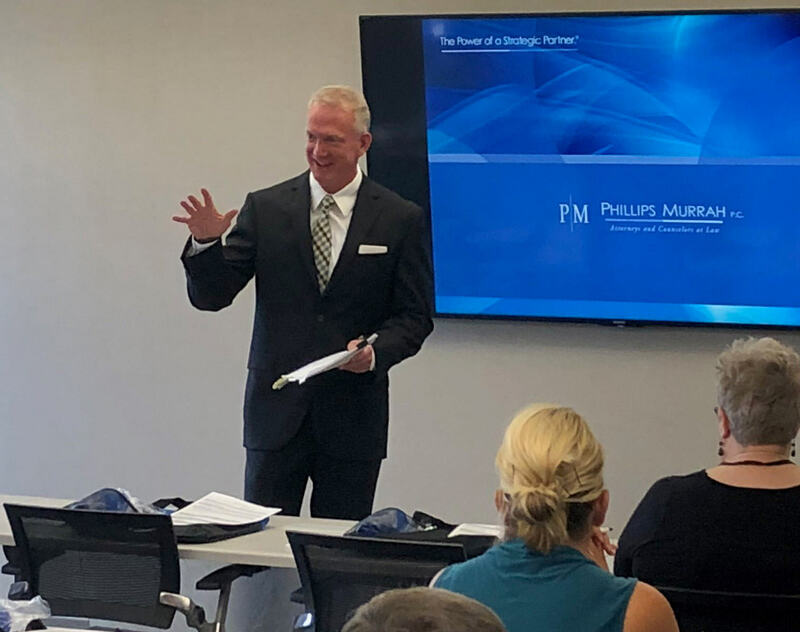 Phillips Murrah attorneys present for Construction Financial Management Association - Phillips Murrah P.C. Attorney David Walls addresses construction industry professionals at September’s CFMA meeting. David A. Walls, Construction Law Attorney, and Byrona J. Maule, Phillips Murrah Director and Employment Law Attorney, addressed construction industry professionals at a September meeting for Construction Financial Management Association. Walls presented an update regarding American Institute of Architect changes to standard form construction industry contracts. Maule followed, speaking on the impact of Oklahoma’s medical marijuana laws on employment law. Maule’s presentation focused on drug and alcohol testing, policy impacts on drug and alcohol testing and anti-discrimination, and preemption issues under the Controlled Substance Act, the Drug Free Workplace Act and the Federal Motor Carrier Safety Act. As a result, she said, testing procedures need to be updated or changes, policies will have to be updated, and training will be needed for managers. For more information about the Oklahoma chapter of CFMA, please click here.